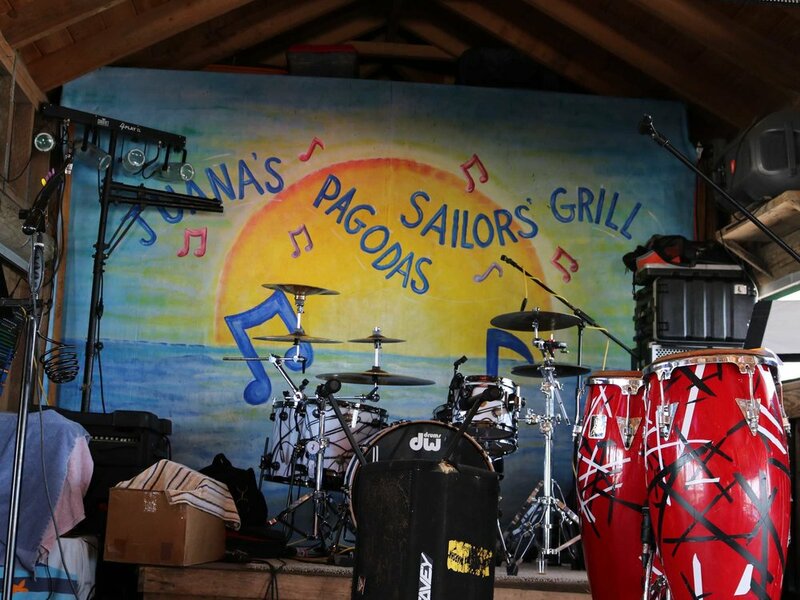 Juana's Pagodas is a Florida beach bar located in Navarre Beach. Discover this great Florida beach bar. Unique Feature: Pagoda Bar. Top Florida Beach Bar 2017 and 2018. Juana's Pagodas has it all. There is the Sailor's Grill which opens at 8:00 a..m. You can enjoy a lovely breakfast on their deck. They even have fresh baked goods. The smell of breads, muffins, cakes and sticky buns will definitely entice you. At noon the Schooner Bar opens. 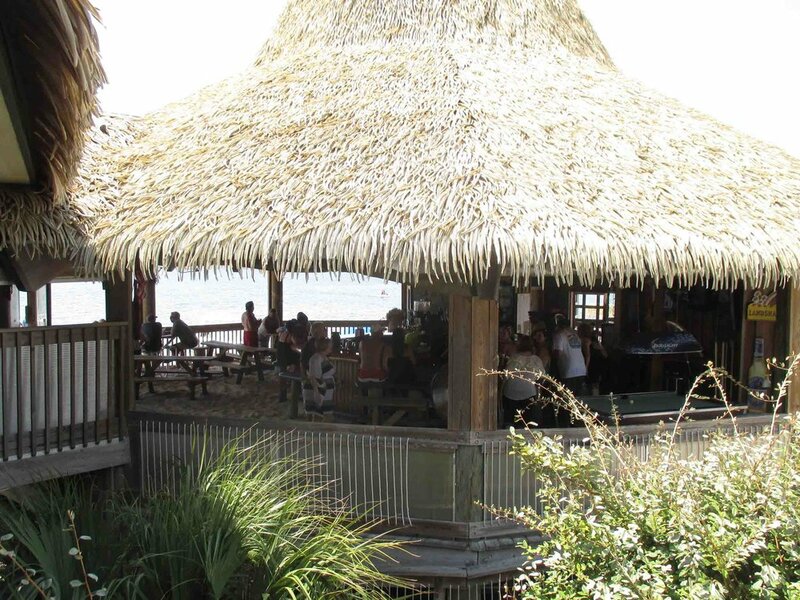 Juana's Pagoda's placed in the Top 10 during the 2017 and 2018 Best Florida Beach Bar contest. But all the action of this Florida beach bar takes place in the Pagodas. They have live entertainment and dancing and good drinks, and yes, there is fun too. Juana's has lots of planned events and with events comes fun and laughter. Juana's Pagodas has many bars where you can get fabulous drinks. There is live music in either Club Pagodas which is open from 4:00 p.m. to 4:00 a.m. The Big Pagoda also has live music, a DJ and special events. Check their web site for all the activities. Juana's is a series of restaurants, shops and bars. 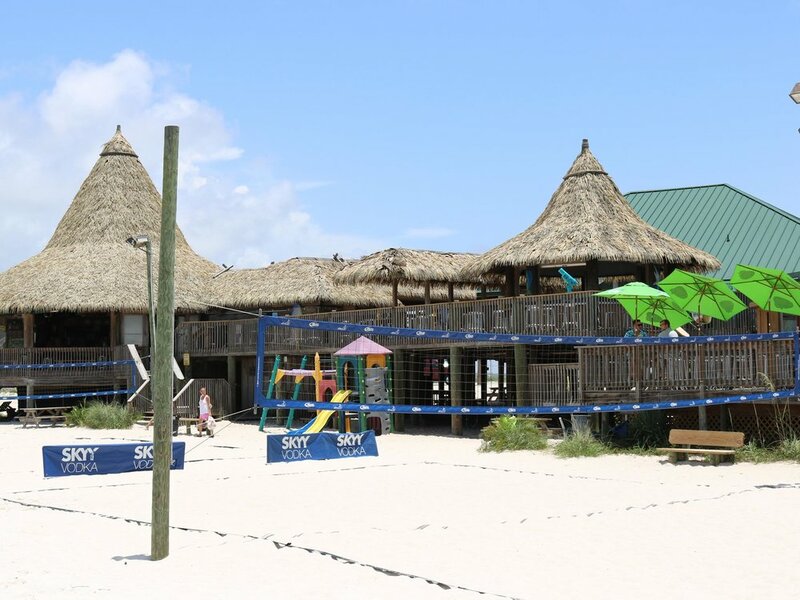 This Florida beach bar has a lot of events, and volleyball tournaments are one of them. You can spend the day at Juana's and find something to do all the time. Juana's even has regattas. In season you can rent wave runners. You can also dock your boat at Juana's. If you are spending the day at Juana's, you can rent jet skis, Hobie Cats, bicycles, beach chairs, umbrellas and even volleyballs. Juana's has it all and it all adds to the great Juana's Pagodas experience. 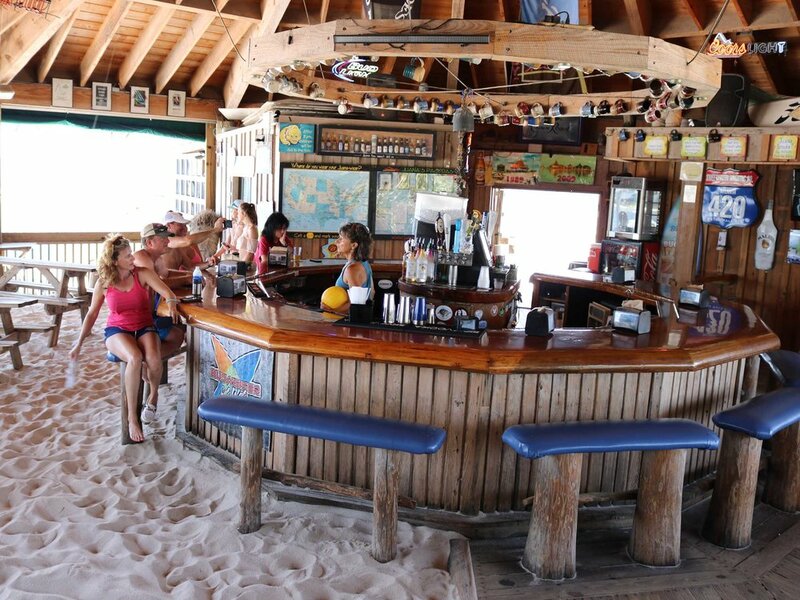 This Florida beach bar is well thought out and is an enjoyable place to spend the day and night. Built in 1989, Juana's is Navarre's oldest restaurant.